Jane_E, Friendless Orphan: A Memoir Born not in a past of corsets and bonnets but into a future of cloning and bioterror, could Jane Eyre survive? This Jane is an “unclaimed embryo,” the living mistake of a reproductive rights center–or so her foster family tells her. 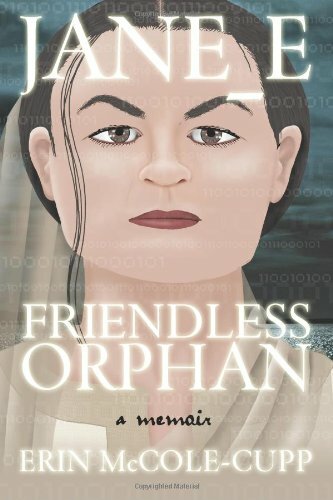 At age ten she is sold into slavery as a data mule, and she must fight for freedom and identity in a world mired between bioscientific progress and the religions that fear it. Jane grows up and escapes to take a job as a homeschooler, but what can she do when she finds herself falling in love with the first man to treat her with kindness–her employer? Could a rich man of social regard ever love someone without even a name of her own? And can Jane’s love for him survive the deepest of betrayals? This Jane’s story celebrates and reexamines the continued relevance of a literary classic, demonstrating that self-respect and genuine love are worth a fight, regardless of where–or when–we live. Don’t want to commit to a giant paperback?